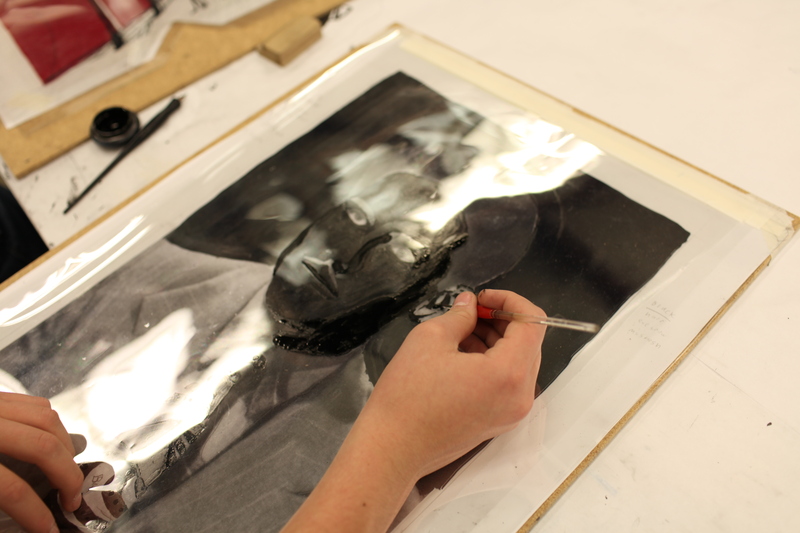 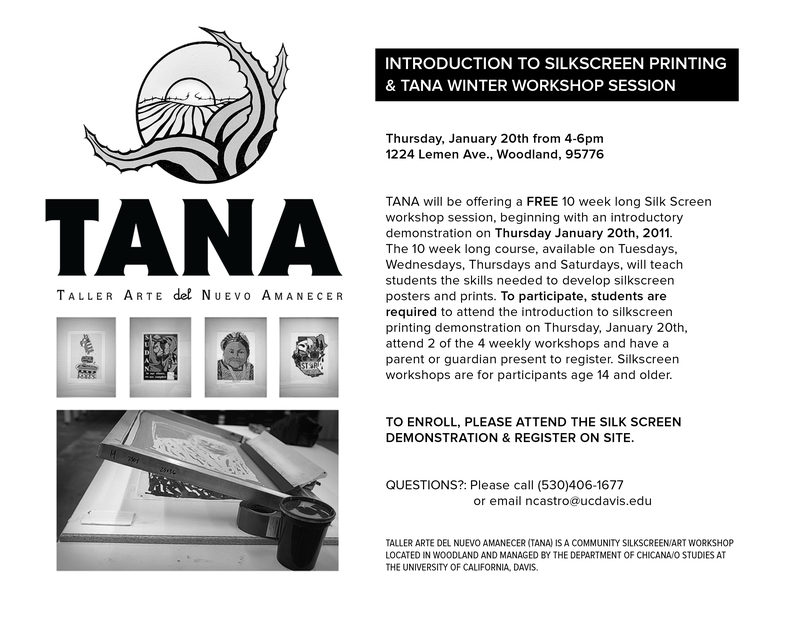 From January through March of 2011, TANA began conducting a new year of community silkscreen workshops. 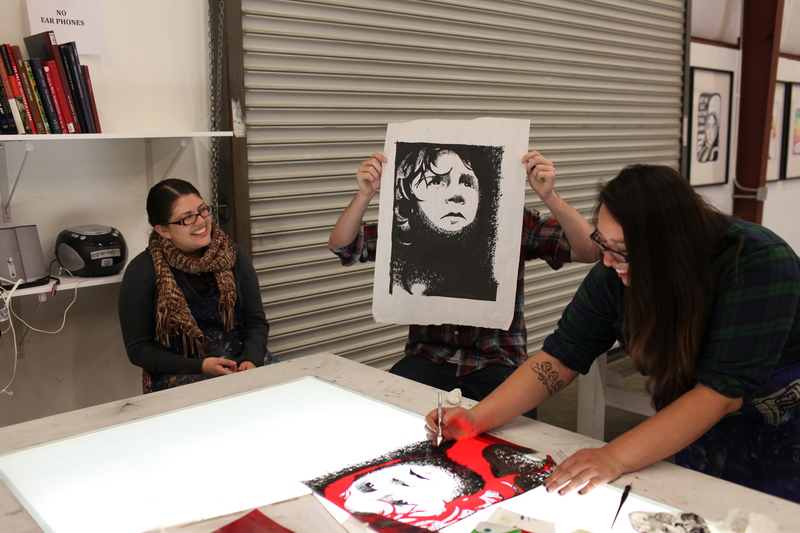 This Winter 2011 Workshop began with a mandatory introductory silkscreen demonstration which included instruction on how to create a silkscreen print and the relationship of TANA to the Chicana/o Arts Movement. 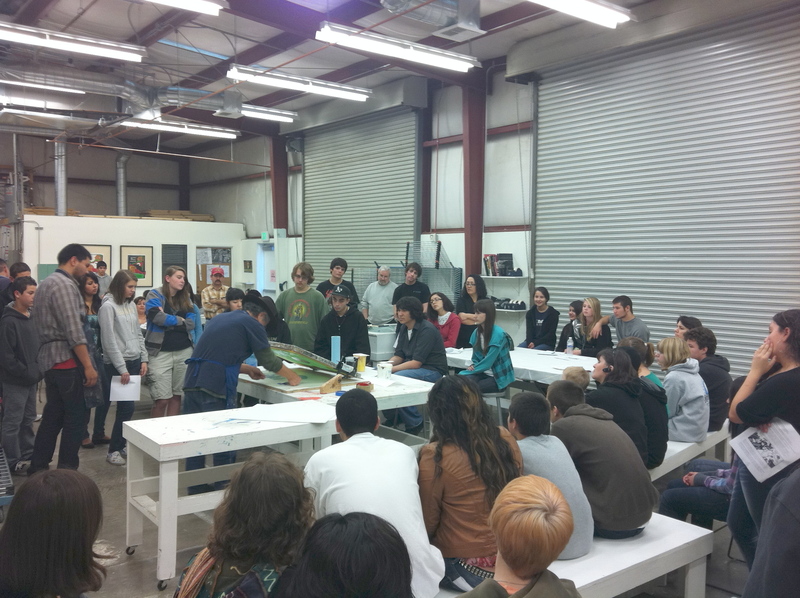 Professor Emeritus Malaquias Montoya of Chicana/o Studies at UC Davis conducted the silkscreen Demonstration on January 20th, 2011, with an estimated 65 attendees from the Woodland community. 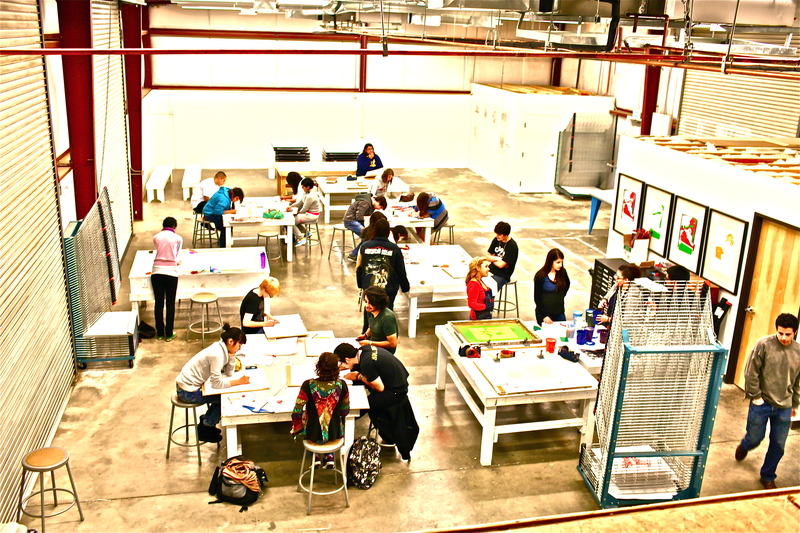 TANA Concluded the Winter 2011 Silkscreen Workshop session with an Open House on Saturday March 19th from 2-4pm. 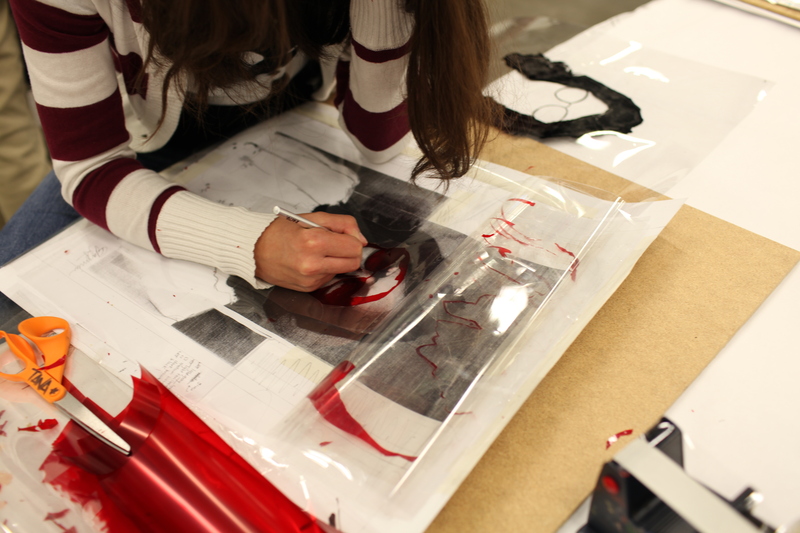 Approximately 20 youth and community workshop participants brought family and friends to share the artwork they created during the Winter workshop.